12/11 - In addition to race engine development, we have become specialists in M96-97 (Boxster/996/997) engine rebuilds/enhancements for dealers/shops/individuals nationwide. Our new Superflow SF-902S Engine Dyno will enable us to completely run your engine in prior to shipment. 11/11 - After years of tuning their engine management systems, PWR's now an authorized Motec dealer. 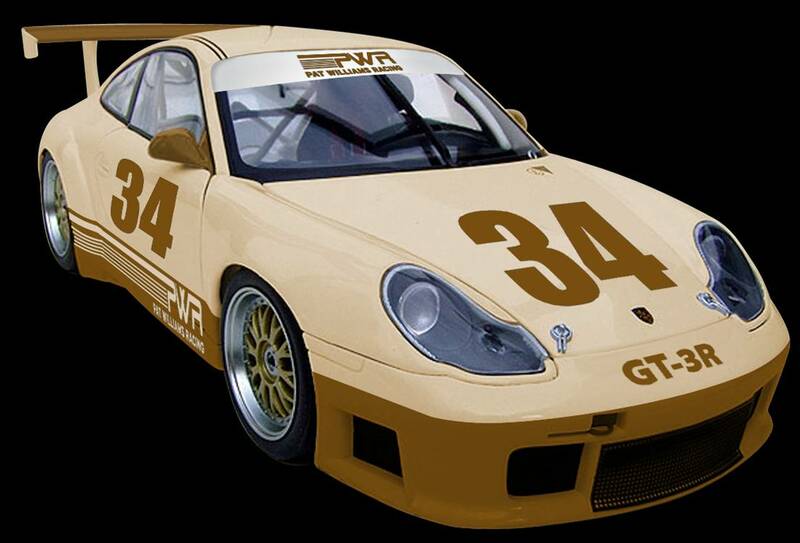 Read more here..
11/11 - PCA Club Racing, the most competitive single marque race series in the U.S. For the second year PWR wins GT1 R with Barry Bays in the 3.0 litre twin turbo for 2011. 09/11 - Never having seen the track, PWR wins the enduro overall, sets fastest lap and takes the worker's choice award. Look for the video at Pat Williams Racing Channel on YouTube soon. 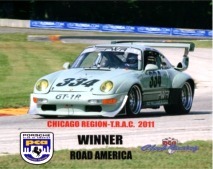 11/10 - PCA Club Racing, the most competitive single marque race series in the U.S. Pat is the GT1R Champion in the 3.4 litre twin turbo for 2010. 10/10 - As the longest volume supplier of 911 Turbo EFI stock manifold conversions in the U.S., we have developed many enhancements along the way. How about 480RWHP while getting 24-26 mpg highway with OEM drivability. Read more here..
07/10 - Excellence magazine was at Road Atlanta for the PCA race in April. View the article they've written for the September issue on the GT1 here. 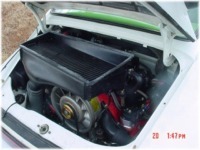 03/10 - First restored in 05 to factory 3.8 RSR spec, then converted to a 2.6 twin turbo in 02/06 as outlined below. Now completely restored to its original red/white livery as delivered and converted to a 3.0 twin turbo. Watch it come from last to win overall going away against 3 higher classes here. 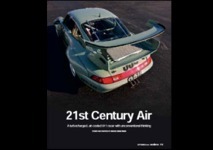 02/10 - The PCA CR Newsletter features a lengthy article on the air cooled car's continued competitiveness in even the highest classes of Club Racing of which PWR's success with twin turbo's in 3 classes and overall is described in How I came to Embrace Turbos. Read about it here. 01/10 - Your carbureted 911 become hard to start when cold? Modern fuel formulations are showing less propensity to fully vaporize at low temperature when not injected under pressure. PWR has developed an EFI replacement system utilizing PMO's ITB's based on our 911 Turbo EFI conversion program with fully developed mapping for both speed/density and alpha/N applications to suit both street and race applications. Watch a video of it on the dyno here and a full description at our EFI Conversion homepage soon. 11/09 - In 14 years of pro and amateur racing, PWR's accumulated quite a bit of in-car footage. We're compiling these into videos and uploading them to YouTube. 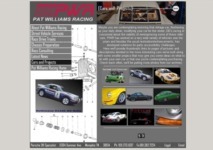 Check both our Race Videos page and Pat Williams Racing's video listing at YouTube for new additions. 6/09 - PWR has performed thousands of pulls on well over 200 cars (39 in 2 days for one PCA Club tech session) on our dyno since 12/05 and both we and customers have captured some good videos along the way. 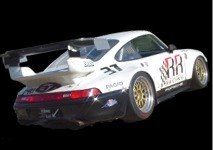 Check both our Dyno page and Pat Williams Racing's video listing at YouTube for new additions. 02/09 - 1997 - 2003 Boxsters have on occasion experienced catastrophic engine failure and we continue to offer engine exchanges. But, we have now developed a 5 point prevention program to enable you to proactively reduce the potential for this failure on your own vehicle or have done on a newly purchased Boxster for which service history is unknown. 03/08 - Starting with a salvage titled 1986 911 Turbo, we build another PCA race car along the lines of the 2.6 litre twin turbo, but with a throttle bodied 3.4 litre twin turbo, this time!. View the build here and watch the opening laps of our Daytona Oktoberfest Enduro 2009 overall win here. 11/07 - In a nod to the early 911R, the owner of PWR restored a 912, converting it to a 911 with the installation of a 1971 high compression T engine. It has many custom touches including entire leather interior to sample with custom made replicas of the Recaro Sport seats with headrests and early style gauges. View the build here. 02/07 - The 2.61tt set the overall track record for Sebring in GT3R with a laptime of 2:16.122. 11/06 - How's this for a sleeper? A 1973.5 T in sepia brown with first year "cookie cutter" alloys, stock body and .... 305hp at the rear wheels? 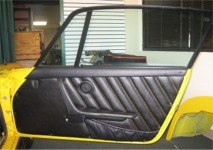 View the brief overview of the build on this entertaining daily driver here. 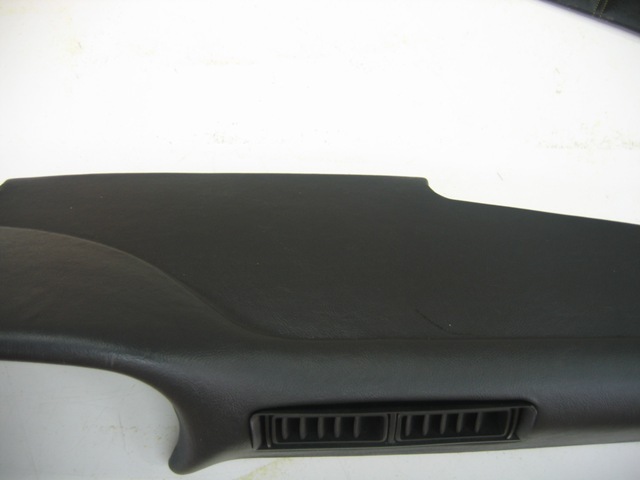 5/06 - PWR Don't want something as spartan as the common RS door panel but still want custom, to possibly clear that roll cage door guard bar? 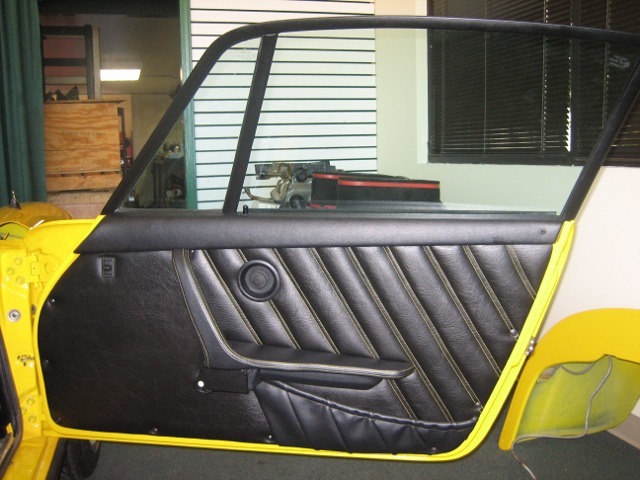 We offer these in vinyl/leather plain or ribbed door panel as shown needing only your door pull assembly exchange. How about eliminating that crack in your dash? We can recover that in vinyl or leather to your color sample. Email us for details. 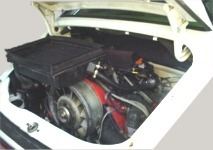 2/06 - PWR has worked on a very wide variety of cars and projects over the years. 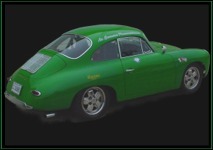 We've developed a new web page with thumbnail images linked to pages of pictures and descriptions devoted to the more interesting cars we've built along with some smaller projecs that may give you some ideas on what to do with your own car or that one you're contemplating purchasing. Check it out here and check back often, we'll be pulling more photos from our archives. 2/06 - Another PWR Pre-Purchase-Inspection (PPI)race car, completely rebuilt/enhanced, and maintained over two season and 30 races with many overall PCA/NASA/PBOC race wins. The owner's now ready to sample the power of Barry's #134 2.61 Twin Turbo - one of the few cars to pass him on the track - so we'll remove the GT2 class 3.8 litre and build a GT3 class 2.6litre twin turbo. This one'll be different, in that we'll be using single throttle body induction system. Follow our progress here as we build and test this engine in preparation for the Texas PCA race in April. 12/05 - To combine the merits of both an engine dyno and a the standard chassis inertia dyno, PWR is installing one of the latest Superflow Autodyne 30 Eddy current dynos in a dedicated test cell mimicking real world operating conditions via an air exchange system directly tied to calculated road speed. Read all about this state of the art facility here. 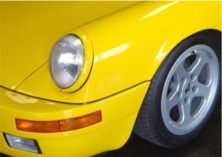 12/05 - What started as the conversion of a 1984 black Carrera into a lightweight narrow bodied 930 has evolved into something more resembling a RUF CTR complete with bright yellow paint and shaved drip rails. Follow along here as we build this car. 5/05 - To compliment the range of package engines and EFI conversion options for street vehicles, PWR now offers complete tailor made vehicle packages configured to exploit these new power levels nearly often twice that of stock suited to the owner's intended use(s). 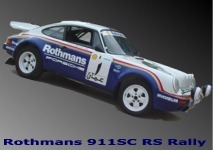 Out of the variety of modified 930/911 packages we have done, this one is unique, read about here. 04/05 - The 2.61tt was selected among 210 cars entered in this event by the PCA officials for the Worker’s Choice Award by virtue of the car’s design, preparation, performance and general “look”. Ride with the 2.61TT with this video for two practice laps before it went on to close a 15 second gap to the leader and finish second in the sprint race by .154 seconds. Excellence Article on PWR-EFI in the February Issue! 02/05 - Excellence spent a day at our shop, viewed conversions in progress and rode in the white car. Read what they had to say about PWR-EFI in their article here. 01/05 - First Drive! We've got it built and running, chassis dyno and track setup work begins in preparation for testing at the Spring Sebring PCA race. Watch and listen to a run to 8,500rpm on the dyno here. 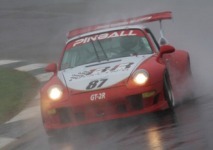 11/04 - Ronnie Randall's #8 continues to dominate PCA racing with a 1965 based 2.1 litre twin turbo. After 40 hard racing hours without an engine failure, we freshened up the motor and he headed to Mardi Gras region's fall race at NP Raceway setting overall pole, fastest lap, overall race win and garnering the Corner Worker's award. 07/04 - Bought out of 11 year storage for participating in organized rallies such as the Colorado Grand, PWR disassembled, mechanically restored and enhanced this car for regular street use. Read all about this fascinating and rare car here. 03/04 - PWR’s next major race car project, click here to watch step by step as we build another race car from the ground up for GT3R with a very special 2.61 litre twin turbo engine. 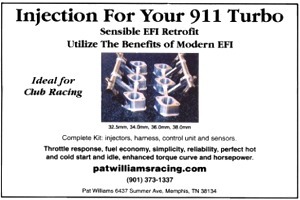 EFI for your 911 turbo is here! 02/04 - We've completed development and driveability refinement of both the stock engine conversion and the PWR EFI Package engine, logging over 5,000 miles on both, our ad's in Excellence magazine, the PWR EFI section of our sited developed and the first customer car conversions begin. 01/04 - Though the PWR-EFI-1 conversion transforms the performance of a stock engine as our dyno comparisons demonstrate, it offers the greatest improvement when used with an engine fitted with the appropriate cams, raised compression, intake port resizing, headers, larger intercooler and turbo. We have fully developed and refined a PWR package engine. The results are impressive: 544hp at the crank using only .9 bar boost and 91 Octane pump gas. Read about here. 12/03 - NO MORE RENT....but there's a small mortgage to pay. The timing couldn't be better, our business has grown and we need a larger facility, especially secured indoor/outdoor holding areas for the increasing amount of vehicles shipped to us from out of state. And for that occassional blast up the street (ok, every day then) we couldn't have more appreciative audience - the Tenn. Highway Patrol's next door. 10/03 - Following dyno mapping, we've now completed our driveability refinement mapping of the PWR-EFI conversion for a stock 930/911 Turbo engine. Check out the installation in the car here. 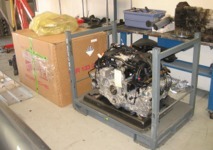 08/03 - What began in 11/02 with machined injector blocks and EFI rails intended for shops to build their own EFI conversions around evolved into a complete conversion package. Here our stock 11,000 mile 930 engine is in the 23 hour process of refining the base map for the ECU. Check out our graph showing the improvement over CIS, the results are impressive. Read about the development of PWR EFI here.here..